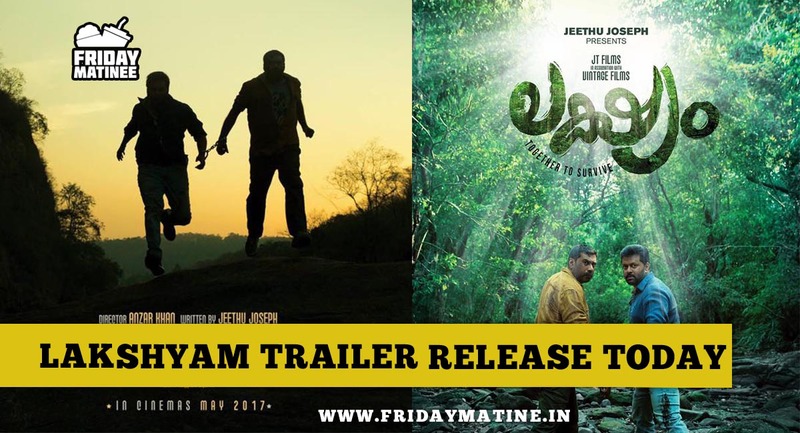 Lakshyam Trailer will be release today at 6.30pm. Laksyam is upcoming Malayalam movie directed by Anzar Khan and scripted by Jeethu joseph, Idrajith sukumaran and Biju Menon taking the lead roles.Jeethu joseph is one who behind the block-buster movie ‘Drishyam’. this is the first moview where jithu joseph is not directing his writings.